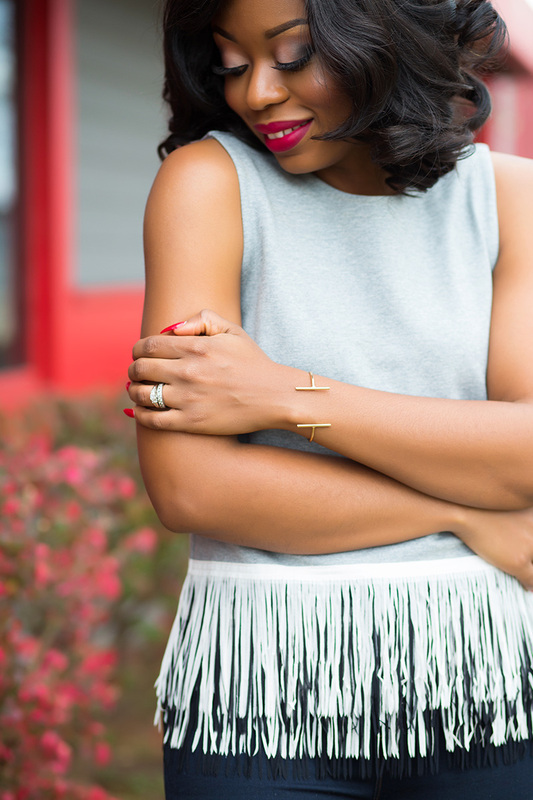 Sometimes, all a girl needs is something casual and today’s look exemplifies what I will wear this holiday season to a brunch with friends. 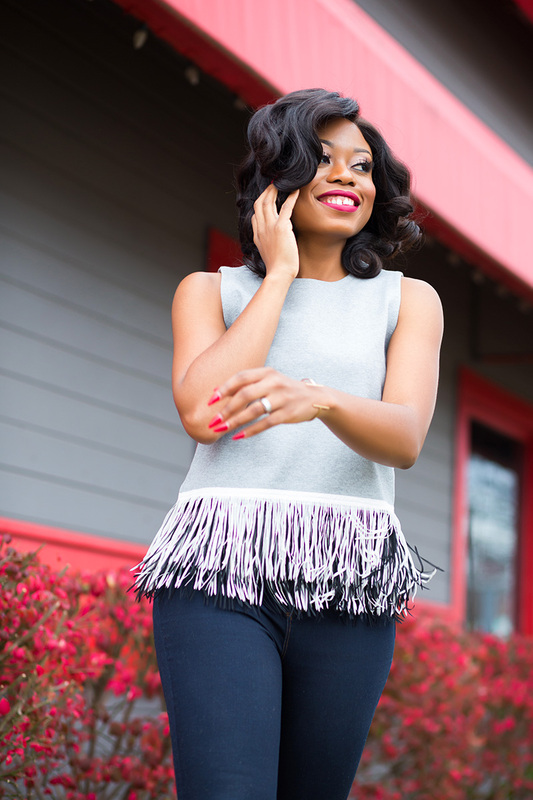 I can’t get enough of the fringe details of the top and all things “fringe” exudes holiday and fun to me. For example, I don’t mind wearing this fringe vest to a holiday dinner event with the ladies. 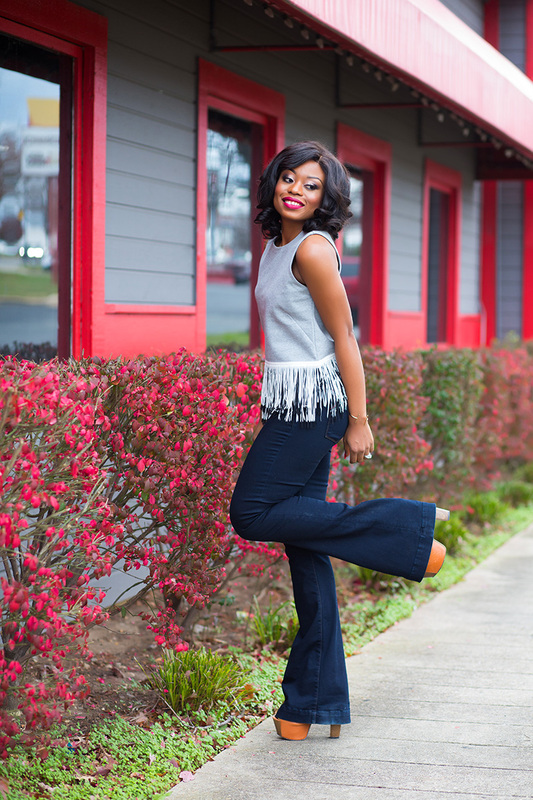 For today’s post, I paired the fringe top with my favorite flared jeans…Yep! I love it and this not the first or second time I styled the jeans. I completed the look with high platform shoes to complement the outfit. I found your blog while looking for photos of the top you're wearing here, and I love your style!! Beautiful makeup and I really like this look. :) Thanks for the inspiration! Added you to my blogroll.